Does PR Visa for Canada Inspire You? Canada–also known as the Maple Leaf Country–is a favorite destination for the immigrants from across the world. The reasons are various with some of them being high standard of living, strong economic growth, highly developed and well maintained infrastructure, friendly people, peaceful environment, and superior health facilities. Innumerable people apply for Canada Visa annually but only limited people are granted visa, and only handful people get a bumper prize, i.e., PR Visa for Canada. Permanent Residency is proffered to those who are not Canadian citizens, but on the basis of their profession skills, they are offered the right to live and work in any Canadian province or territory, without any time limit put on their stay. Getting a Permanent Resident Visa for Canada makes you entitled to enjoy many benefits. Post visa approval, a Canadian permanent resident must live and work in the country continuously for at least two years, out of every five, or they are at risk of losing their PR status. Since decades, the Maple Leaf Country has given a warm welcome to the immigrants, especially the professionals with experience skills, education qualification, unique talent and capability to develop in foreign culture. Above all, people who are efficient to help in the growth of the country’s economy. PR Permit for Canada is essentially granted to the applicants, who successfully meet the following requirements set by the Citizenship and Immigration Canada (CIC). The applicants should be a minimum of 18 years of age at the time of submitting their petitions. They should know the basic of Canada, and post arrival; they need to clear a knowledge test. They should be fluent in either of the two Canadian official languages, i.e., English and French. They should not possess criminal history. They should have a Canadian permanent resident status. The country has more than 60 different types of Canadian immigration programs through which you can successfully obtain a PR Permit. The best way of analyzing if you are qualified to apply for a Canada PR Visa is to self assess if you are eligible for the same. Federal Skilled Worker Program: It is for the applicants who have who have scored minimum 67 points and have at least one year of full-time work experience in one of 50 occupations mentioned in the in-demand list. Quebec Skilled Worker Program: It is for the aspirants interested in settling in Quebec provision only. The applicants are selected on the basis of a points-assessment of their qualifications. Canadian Experience Class: It is for the candidates who have gained Canadian work experience, or have successfully completed a college/university degree in the nation. Investors, entrepreneurs and self-employed people: This is basically for the most desired applicants who have enough funds wither to investment or start a business venture in the nation. Provincial Nominees: It is for the aspirants who are invited by the nation’s provinces or territories for a PR Visa according to their own criteria. Apart from the above mentioned visa programs there are many other programs also up for grabs. All you need to do is to do a thorough research, and submit your application through the best suited program, and under the guidance of a really capable visa advisor. 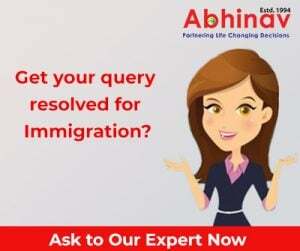 YES, submitting your petition under the professional guidance of a trained and experienced visa consultant can be decisive and help your submission make the cut. You surely will not want a small mistake to jeopardize your chances and spoil your overseas dreams. Remember: you need specialized support and guidance to beat the competition, and convince the concerned immigration and visa authorities handling your specific case that you are a really good candidate and your petition should be positively entertained. Have You Checked Skilled List in Canada 2014?